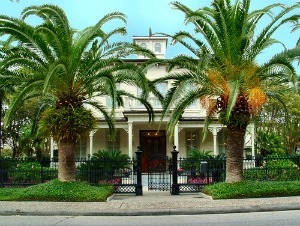 Spring or fall is perfect for a Galveston Walking Tour. The humidity is low and not too much rain. During the weekdays most of the crowds and traffic are gone - I love the Island on these days. I think you will too. If you can walk two to four miles a day great. It's all flat and you'll can get along easily on the East end. Here you can explore the Strand Historic District, Harbor, Museums, beaches and Seawall. 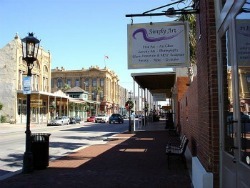 The Strand Historic District was the heart of Galveston in the late 1800s and early 1900s, it still is. There are shops, boutiques, restaurants, bars, and museums. 1. Strand: The land bordering a body of water; a beach. Well that could describe it for sure. The other is not a definition but a location. 2: Strand: a street in the City of Westminster, London, England. The street is just over 3/4 of a mile long. England had a large influence on the island. Take 'Dickens on The Strand' for example....They both have merit. Just think of both and you'll be right! This city has a charm, beauty and feel not found anywhere else. It really is a special place. The city had it share of Yellow Fever epidemics. Of course this claimed many lives. Some of the events that happened here can still be felt by some. Each one unique as a fingerprint. Some of the homes are just stunning. At times it feels like it must be a movie set. The last time we did a Galveston walking tour, we walked to Seawolf Park. I wouldn't recommend it though, it is a long walk. I'd drive out there if you want to go. It does cost about $6.00 to get in. The park has a great view of the inlet and bay. It’s good downtime just watching the ships and boats come and go. The pavilion was ruined by Ike - another hurricane, but the fishing pier is good to go. 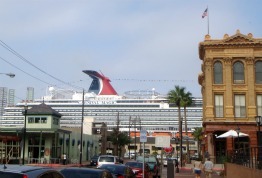 Leave Galveston Walking Tour and return to Galveston Travel and Charm Homepage.